As my children played with the jalopies, I was so pleased to learn that each jalopy is finished with a natural beeswax blend and is super smooth to avoid any splinters. 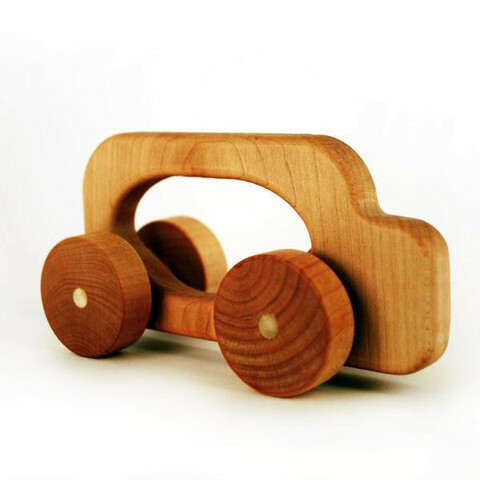 These wooden cars are safe to be used as teethers or rattles as well! And don't worry if your child has a need for speed--these jalopies are the smoothest, fastest wooded cars I have ever met! 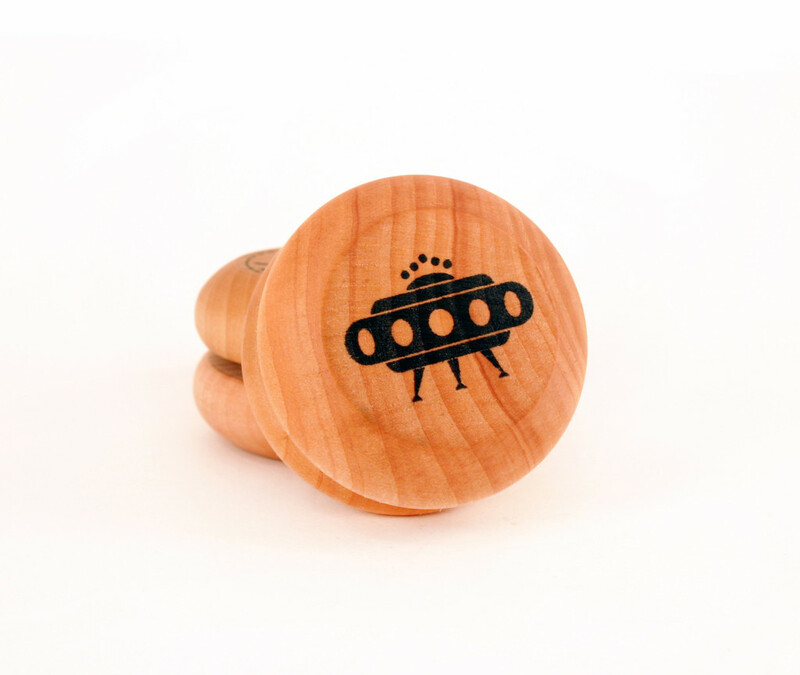 They glide along with seemingly no friction at all! My husband continued to show off with the yo-yo, which is also finished with a natural beeswax finish. He "walked the dog" and did "around the world"--but by that time Baby E. and Little J. were clamoring to get their hands on the yo-yo as well. It stood up to their abuse and continued to work well for my husband even after being banged and dropped repeatedly by my children. My husband picks it up every day now and does a few tricks with it. I suspect he's trying to get a new trick down! Last out of the box was a set of animal Match Stacks. My four-year-old popped the lid off of the rather nifty canister and dumped the wooden discs onto our couch. They fell with satisfying claps onto each other and we admired each stamped animal with their vibrant colors and shapes. 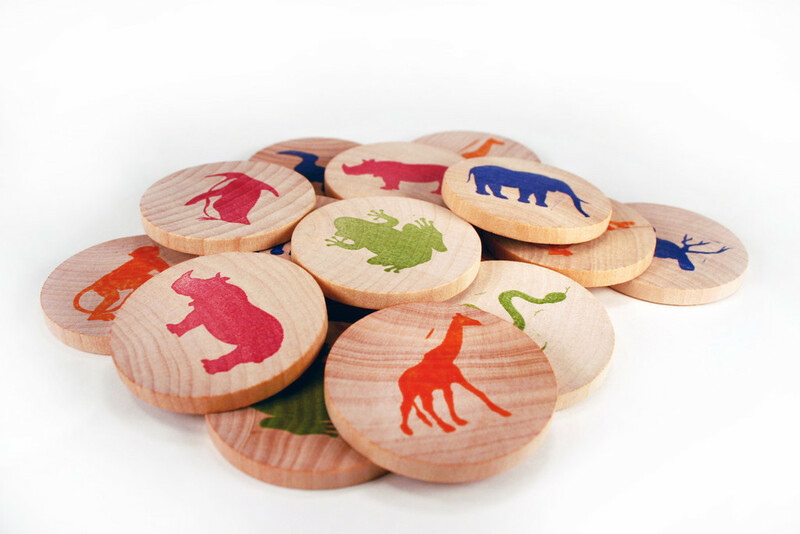 Each disc is so light and smooth--and I love that they are all natural and made with attention to being eco-friendly. We set up a matching memory game right away and had a great time trying to find the rhino, giraffe, snake, and other animals. 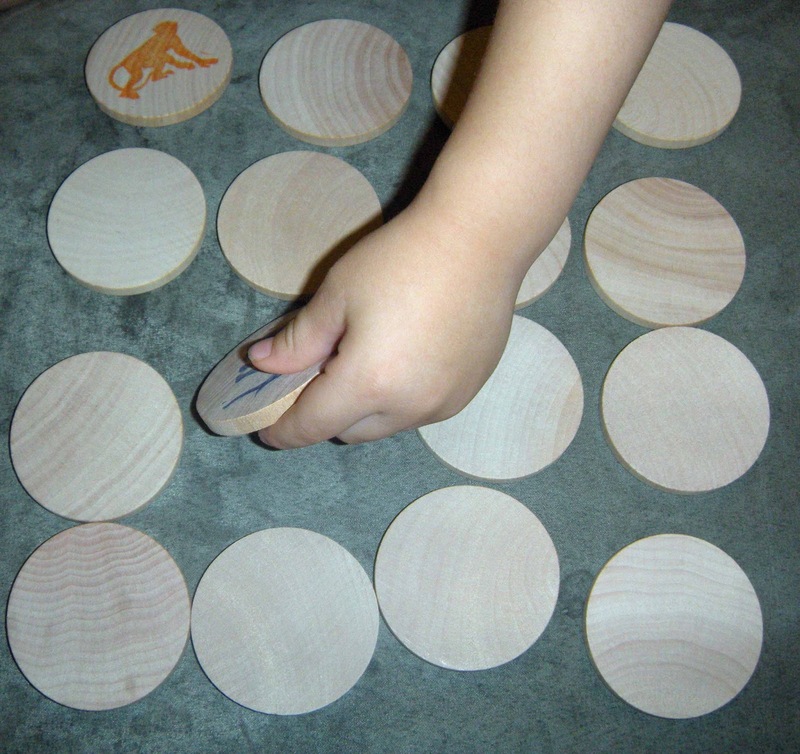 The set of 16 discs is a good difficulty level for my 4-year-old, and the level of difficulty can be increased by adding one of the other sets, which come in Transportation, Camping, Monster, and Garden versions. These match stacks have been a real hit with all of our family. 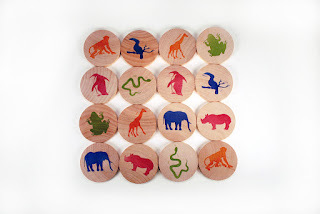 I could just admire their smoothness and beautiful animals for hours, while the kids love playing the matching game, stacking the discs into towers, playing pretend with the animals, and loading and unloading them from their canister. 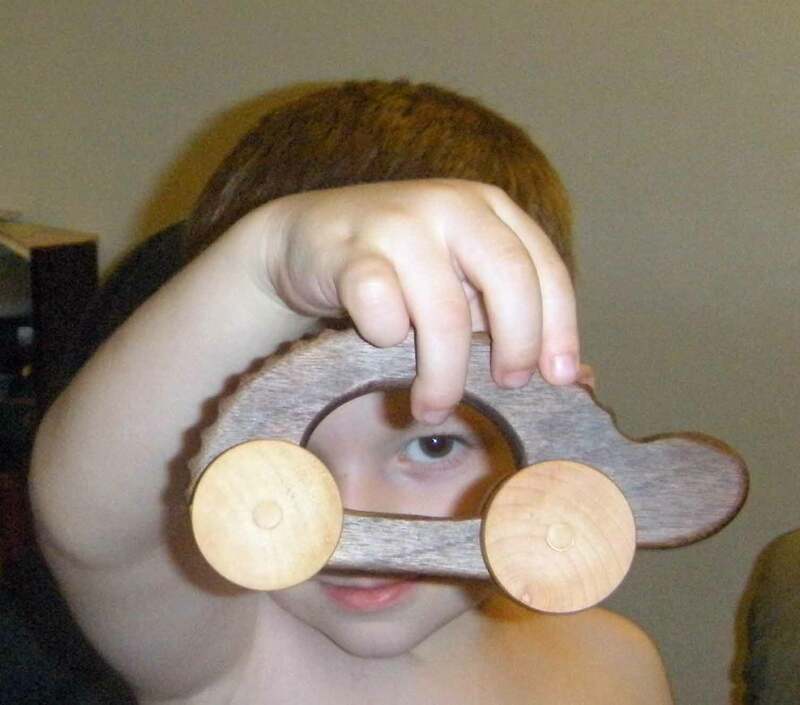 I definitely recommend Tree Hopper Toys because they have high-quality products that can inspire creative play in children. I also applaud Tree Hopper Toys for their strong commitment to our children's health and the environment! Please visit them at their website and on Facebook as well. Enter the Keeping Kids Creative Giveaway Hop here on Why We Love Green to win two Hopper Jalopies of your own as well as a Match Stacks set from Tree Hopper Toys!